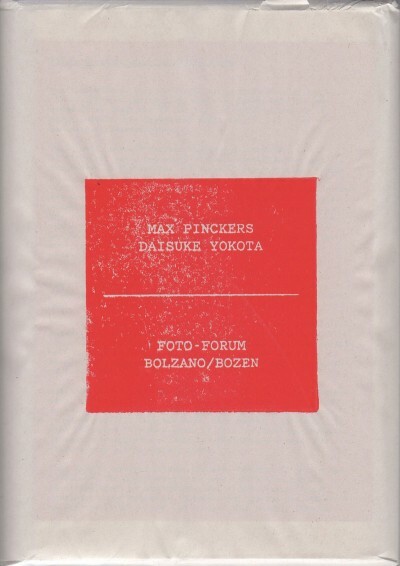 Foto Forum: Max Pinckers | Daisuke Yokota. Photographs by Max Pinckers & Daisuke Yokota. Rorhof/Lyre, Bolzano, Italy, 2016. Unpaged, 5¾x8½". 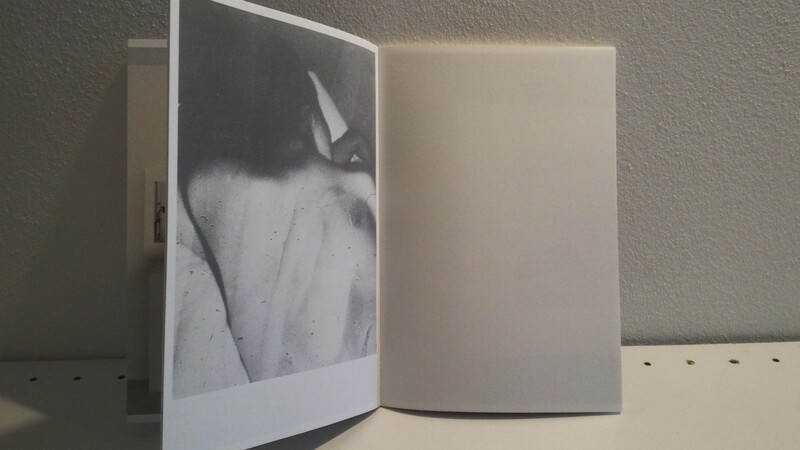 This book is presented as two seperate, but interweaved books, one by Daisuke Yokota and another by Max Pinckers. They are presented in wrapping paper with a red handprinted linocut title block. The catalogue presents also the exhibition views of Yokota+Pinckers' show held at Foto Forum gallery in May 2016. The particular exhibition layout, designed in collaboration with the students of ISIA Urbino and UNIBZ/Faculty of Design and Art, was based on giving to both artists the same amount and type of paper (but their photographs were printed on opposite fibre directions) and wood (used for building the exhibition structures). Max Pinckers’ work was presented vertically, while Daisuke Yokota’s horizontally, both using the same quantity of plywood. No nails or adhesives were used in the exhibition.